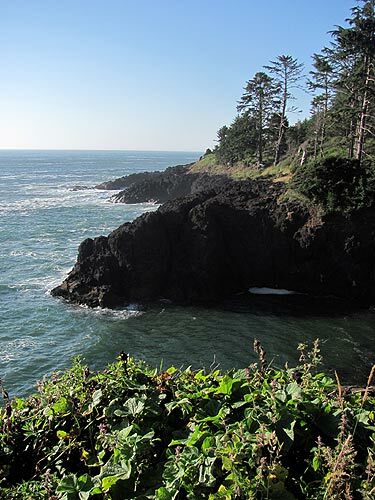 It all begins just south of Rocky Creek Wayside, as 101 twists around tight corners between Depoe Bay and Newport. The highway rises suddenly as you head south, but off to the right thereâ€™s a mysterious little road junction. 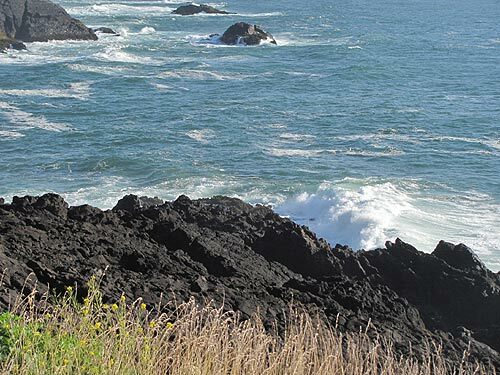 This is Otter Crest Loop, which meanders beneath 101 for a while, until it ends up high on Cape Foulweather, winds past Otter Rock and the Devilâ€™s Punchbowl and then meets up again with 101 a ways north of Newport. But here, at the beginning of the loop, the fun starts. There's a gravel pull-off here that allows more dramatic views of the kind youâ€™ll find at the wayside 100 feet back. Youâ€™re a little closer to the surf here, and able to get down there â€“ but that doesnâ€™t mean you should. 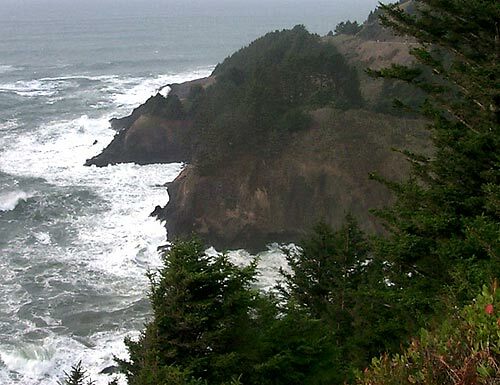 The waters are tempestuous and mighty, and the waves do some scary but impressive stunts on these rocks. You could easily get swept off, so stay on the gravel area and watch the show from there. Keep going another 100 feet and youâ€™ll bump into the Rocky Creek Bridge â€“ also known as the Ben Jones Bridge. It was built in 1927 and stands at MP 130.03. Thereâ€™s a mini-turnout here to watch the surf go bonkers â€“ and it does. Itâ€™s all above a mini-cove of sorts, where oceanic drama is the norm. 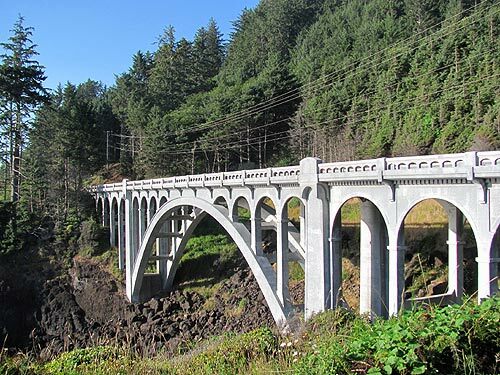 Continue south along this stunning scenic route and youâ€™ll soon run into a one-way section, the result of a landslide that tore up Otter Crest Loop in the '90s. That one nearly had deadly results as two people were driving that stretch in a van when the highway gave way, causing the vehicle to go down the muddy sludge. The passengers were able to crawl back up a bit and were rescued. After that, for many years this stretch was a foot-path only, blocked off by a concrete barrier. It was reopened in the early 2000â€™s as a one-way lane with a bike lane. The turn-out at Otter Crest Loop, looking south towards the bridge and its cove. Some of the stunning views seen along this secretive route.